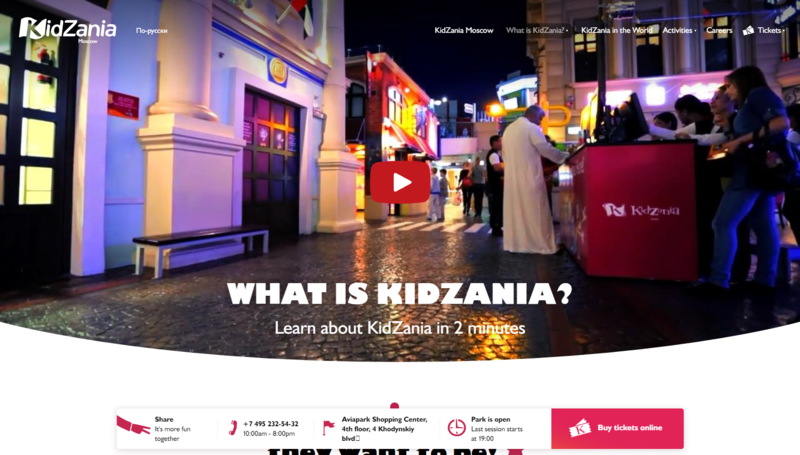 KidZania International project was opened in Moscow on the 28th of January. KidZania is a big city just for kids, where they can try themselves in different professions: from a cook and a firefighter to an animator and a cosmonaut. 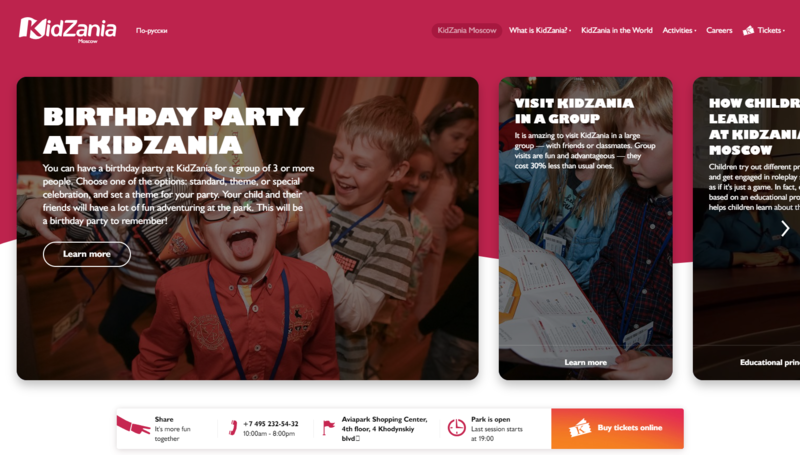 Our team takes care of marking and the technical support of the website KidZania together with specialists from Innova. Special gratitude to the team of KidZania from Innova, in particular Eduard Gomolyako, Sergey Nikitin and Ajrat Gafiyatullin.